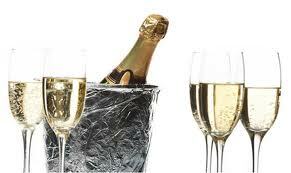 Champagne is entering a third great phase of sales success according to Pierre-Emmanuel Taittinger. Speaking at the Taittinger Comtes de Champagne Masterclass in London last month, Pierre-Emmanuel (left) referred to three “great periods of Champagne”, with the latest expansion driven by demand from emerging markets. He explained how the region enjoyed its first phase of growth from the eighteenth century to 1939, when sales grew from 1 million bottles to 10m, before starting a second era of booming sales from 1945 to 2000, when consumption rose to 320m bottles. He attributed the new demand to emerging markets. “Half of the world were not Champagne consumers before, and 90% of Champagne was drunk in Europe and the US, but now China, Japan, Russia and South America are becoming a vast market,” he said.